When a police officer in Falcon Heights, Minnesota, shot and killed Philando Castile earlier this summer, the encounter began with a traffic stop. The stop fit a pattern: Castile had been pulled over many times before—46 times in 13 years. But few of those citations were for dangerous driving. More prevalent were stops for minor issues like vehicle defects or misplaced license plates—the type of justifications that police are more likely to use when stopping black and Latino drivers throughout the country. Street safety advocates often call on police to reform traffic enforcement practices in order to reduce dangerous driving that jeopardizes people walking and biking. Given the pervasiveness of racially discriminatory police work and the prevalence of police brutality in many communities, how should biking and walking advocates shape their strategies and messages? 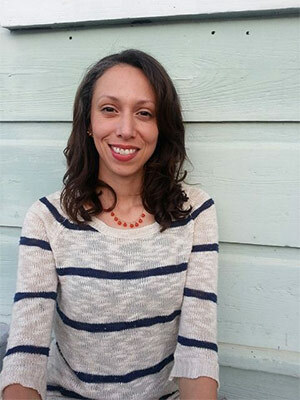 Naomi Doerner, the former executive director of New Orleans’ advocacy organization Bike Easy, is a consultant who specializes in helping biking and walking advocates develop racial justice and social equity plans. She says advocates should be grappling with structural racism and considering how their own choices can entrench or dismantle it. Here is a lightly edited transcript of our interview. What’s a mistake some biking or walking organizations are making with regards to diversity? I think that one of the things I see is hiring of people of color and then making them sort of the voice for diversity and equity, which are not the same thing. It is great to hire the folks, to have the folks who do potentially have better understanding. Even if you had a staff that was diverse, if there’s not a co-created understanding of equity within your organization and how you’re contributing to it, it won’t succeed. Participation and engagement with communities is one of the things people can do. If you want to engage communities that are different than your own, then it is important to go to those communities without an agenda and listen. Where and when authentic relationships form, if there are opportunities, it may not be about a bike lane. If you have access to funders, you have resources that you can bring to the table to really help contribute. It’s a long process but I think that’s really what is needed: Helping communities to achieve the goals for themselves. And find the commonality. What can individual advocates do to be more sensitive? The individual racism isn’t the actual issue. There are very few people that are going to be overtly racist. It’s the bias. It’s where and how it’s embedded into our institutions. Each of us has a role in addressing institutional and systemic racism. It sounds really scary. It involves making a personal choice to get unstuck and find groups (Note: Doerner recommends Race Forward or SURJ.) and people who can support you in your personal growth. Whatever role you have, you can start to identify your privilege and seeing your privilege as a tool you can use to dismantle racism. As a writer, you can use your role to address issues of systemic racism. As a planner, I can address systemic racism. In planning, any project is inherently going to create unforeseen byproducts and outcomes that can potentially be very detrimental to a community that you might not see. I’m just going to use Vision Zero. A lot of people are talking about it. Vision Zero is a policy that was really adopted from a Swedish model and it was enacted at the country level, and its [goal is to] reduce fatalities to zero by [a certain] time frame. In the context of Sweden it has been seen as a success. There’s been a move to understand that in the United States. Now we’ve had a national campaign come here and it’s compelling. Vision Zero and the goal itself to reduce fatalities in a community—that’s what livable cities planners want. It’s been very top-down for the most part, getting city and transportation agencies to adopt that at the ordinance level. It’s been a mostly top-down process where advocates have done this education of what it is. Legislators are happy to endorse it. When you look at what is happening in communities of color in cities where we have this broken windows policing and you overlay this Vision Zero enforcement, there are concerns that it could lead to this kind of profiling or traffic stops. What a lot of social justice and racial equity [advocates] are calling for is not just reform—what about community policing? If we’re going to be giving more investment to police enforcement, it has to be communities telling police how and where and what. This particular Vision Zero analysis had not been done by the advocacy community. I think that a lot of that really does have to do with the fact that a lot of the organized bike and walk community are not comprised of people of color. There are a very high number of people of color who bike and walk. But generally, they’re not really helping shape policy or the campaigns. It doesn’t mean that you throw out everything about Vision Zero. It just means we have to use analysis tools to figure out who could very well be negatively impacted and develop alternatives. I read a blog post you wrote about growing up in an immigrant family. How does your background inform your work? My mother is from Honduras and Central America. She had me at 21 and was a single mother until she got married. Being very young, I distinctly remember walking with my mom in the cold to the bus stop in Chicago and that’s how we got around. It was my mother’s way of really going up the ladder. [After] my mom married my dad—he was someone who was college educated—I didn’t take the bus. The communities I lived in were different. My mother and I in those early years, that has always informed the work that I do. It’s really about prioritizing the needs that people have to live their lives and support their families.